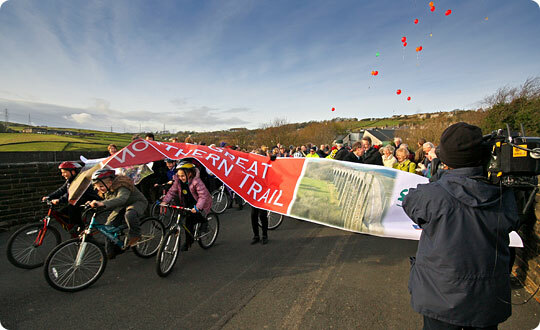 West Yorkshire’s iconic Thornton Viaduct has reopened for the first time in nearly half a century, but for walkers and cyclists rather than trains. Children from Thornton Primary School, which occupies the site of the village’s former station, were excused lessons to join the official celebrations whilst local historian Alan Whitaker, son of Thornton’s last station master, addressed the gathered crowd. the crowd before the viaduct's official opening. The third section of the Great Northern Railway Trail crosses the viaduct. When linked together, they will create a picturesque, traffic-free route linking Queensbury and Cullingworth, mostly along the trackbed of a heavily engineered line known by locomotive crews as ‘The Alpine Route’. Built between 1876 and 1884, it was characterised by deep cuttings, high embankments, tunnels and wonderful viaducts. Closure came in 1965. 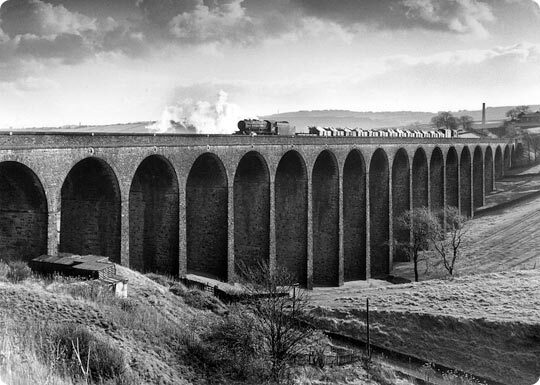 On 8th November 1963, the 1025 pick-up goods heads north across the viaduct. Sustainable transport charity Sustrans is developing the trail in partnership with Bradford Council and the Great Northern Railway Trail Forum, a consortium of supporting local organisations. 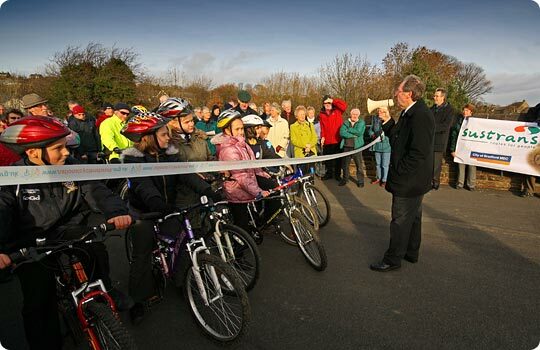 Children from Thornton Primary School are first to enjoy the new route. The new half-mile section of the trail took four months to construct and the entire six-mile project is expected to be complete by 2011. Thornton is one of two Grade II listed viaducts on the route, three miles of which are now open. Plans for various sections of footpath along the trackbed.